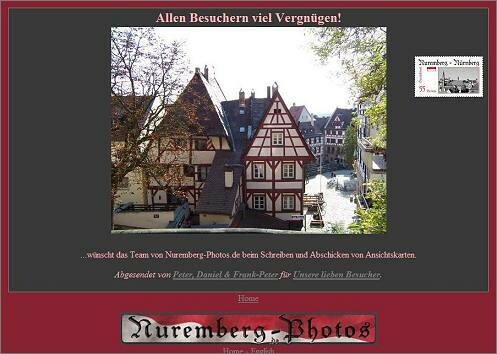 Our e-cards service allows you sending the complete colour photos of the Album of Nuremberg. 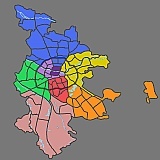 This possibility of an electronic worldwide postal delivery is absolutely free. A postcard and some kind words surely make your loved ones and friends a little bit happier. The procedure is easy to handle and you can stay at home by doing this. And so it goes: After you found a decision for a special picture please click on the link "eCard" below, which is leading you to the entry page. After you filled in the input fields please check again the correctness of the email addresses, without which nothing works. Only a few minutes after sending the postcard and later when the recipient has picked up the post you get a confirmation via email. Your entered data are exclusively utilized for this personal postal delivery. We wish you lots of fun with it!